Self defense and concealed carry discussion with the experts, including Massad Ayoob, a must have for armed citizens. 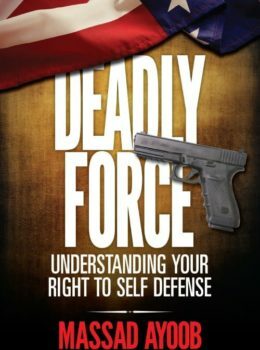 Discover what your rights are when it comes to using a firearm for self-defense, and explore the issues surrounding the use of lethal force. These two books are important for anyone trying to understand concealed carry. Let the experts help you to keep safe, before, during, and after you decide to use deadly force. Deadly Force by Massasd Ayoob is already one of our all-time best-sellers. Now he has added to this knowledge with a whole group of experts in the new book Straight Talk on Armed Defense. Harvey Hedden provides insight and advice on lawfully armed citizens and interactions with law enforcement.